"I am really pleased we invested this excellent resource. It creates a buzz around my wonderful subject and really helps the Aldro students to improve in their reading and writing knowledge and skills." M. Thompson, Head of English (Middle School). P. Bainbridge, ICT Resource Manager. "I love playing the custom spelling games. They have helped me get much better marks in my spelling tests." "LiteracyPlanet has been a welcome link to ICT for us in the English Department. Alongside being fun, easy to use and providing a range of activities for all age groups in our school, we are so pleased that homework can now mean something. The children find the tasks challenging and they naturally repeat the tasks so that they can achieve 'Spin Wheels' and Gold medals. We have been able to extend our most able and at the same time provide age appropriate stimulation to those who struggle. Also, o-one knows what level and stage the work is set at which alleviates competition and self-esteem issues. LiteracyPlanet has become a full fledged part of our teaching resources and I would recommend it to anyone!" N. Thompson, Head of English, Speech and Drama. "It helps me get better at English. I'm more confident with my spelling and comprehension." "I love LiteracyPlanet. I like dressing my Avatar and playing cool games that help my English." 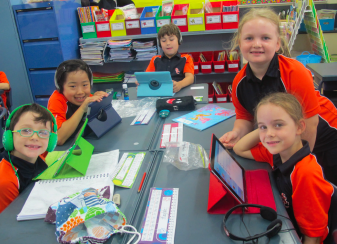 "We use LiteracyPlanet to support our Key Stage 3 students and have found that the impact is greater if all students use it as a regular part of their English lessons and homework. It allows for individual teachers to create their own templates with a variety of tasks aimed at developing specific literacy skills, and also to be able to differentiate templates for students in a class, such as for Literacy Catch Up Premium students. "The diagnostic testing function allows for targeted intervention to ensure faster progress within English. Students find the programme easy to use and enjoyable due to the short gamified tasks. Students and staff are also able to see their points grow as they progress, allowing for internal competitions to increase motivation to use the programme as regularly as possible." "It helps me score higher on my spelling tests."